Departures rarely sound this confident—it helps that Shriek builds off of the major songwriting strides made by Civilian. Shriek is a powerful reminder of how refreshing and affecting bands can be if they have the confidence, self-awareness and ambition to look beyond their usual horizons. 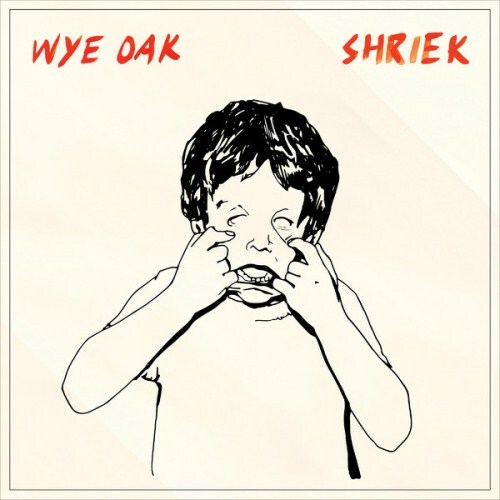 Shriek is perhaps not what we expected from a Wye Oak record, but it’s blinding nonetheless, and, while destroying any preconceived notions of the band, lodges itself near the top – if not at the top – of their canon. With Andy Stack and Jenn Wasner writing apart this time, and on a wider range of instruments, Shriek is their brightest, fullest work to date. It’s been a long wait, but Wye Oak are beginning to blossom. Sure, the sound of Shriek may scare off people who need guitars to be the focal point of their indie rock, but for anyone with a slightly more experimental nature or anyone who likes synths and subtlety and wonderfully emotive vocals, it's a great and welcome surprise that's a brilliant step forward for Wye Oak. 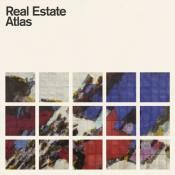 It's still got that rough-hewn, faltering-gear quality that bubbles up to make the group's most basic indie rock gems uniquely their own. It's simply a different iteration of a known quantity. Remarkably, the absence of guitar from the equation opens the door for Wasner and Stack to play in a much more delightfully ambiguous environment. Don’t let the soft lighting fool you: Wasner’s bass reverberates with nearly the same tension as her six-string, fortifying songs like “The Tower” and “Glory” with a stiff, funky backbone. Producing a pop-infused package that channels both Stack and Wasner's strengths, this is an album that seems to scratch the surface of the band's creative experimentation. On Shriek, it's Wasner's vocals that steal the show: assertive, confident, and best exemplified on one of the standout tracks, the bass-driven "Glory." Its esoteric nature and personal themes will likely result in it being a cherished cult album without the widespread popularity of its predecessor. This album is more of a reset than a reinvention, ditching the guitar was meant to make or break them, but it's kind of done neither. Ultimately, Shriek is an admirable reinvention. Following their muse could very well lose them fans, but Wye Oak’s fearlessness is a rare commodity in our formulaic age. Shriek – although uneven in spots — feels like a natural progression for Wasner and Stack, with the synths handling the same rhythms and higher register melodies once reserved for the guitars. Maybe it's not as good as Civilian, but you know what? I like it. I think I'm just into what Wye Oak is doin. Purchasing Shriek from Amazon helps support Album of the Year. Or consider a donation? Video: Wye Oak - "It Was Not Natural"